We at Scarab Antiques do like boxes! 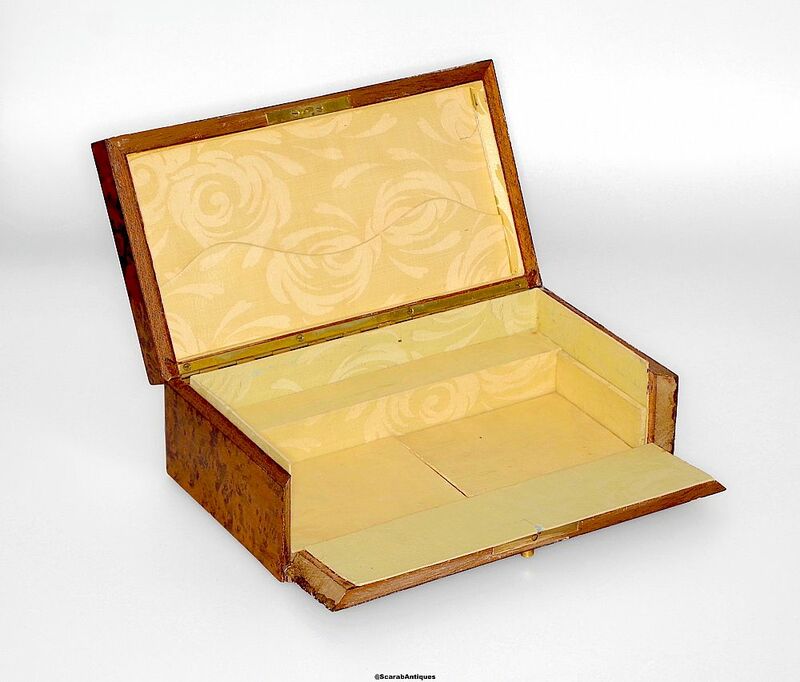 This one is a little different as the interior is fitted out for stationery and the front is hinged so that it folds down once the box has been opened. 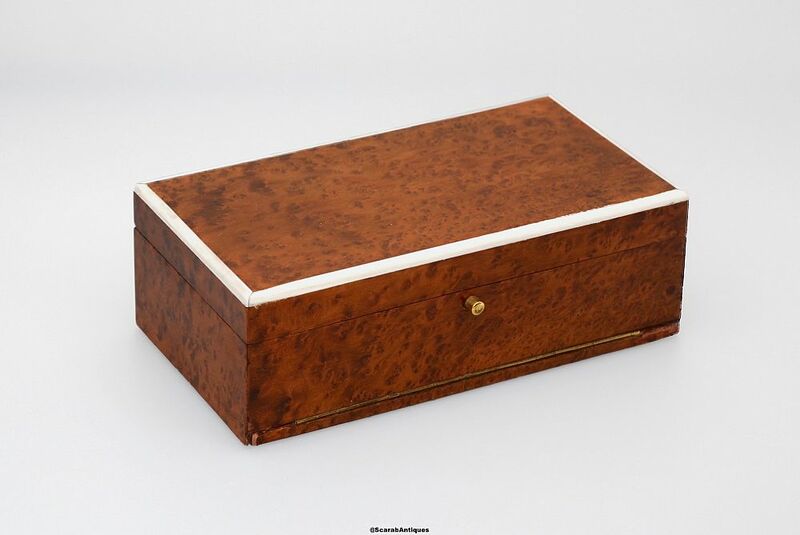 The box has been veneered in amboyna and the lid is edged with bone. The interior has been lined with a cream embossed material with a letter rack inside the lid. There is a gilt metal push button opener. The underside of the box has gilt lettering "Couplet Freres Bruxelles".